Make the Connection. Invite a friend to church. We all know at least one person who needs to hear about how much Jesus loves them. 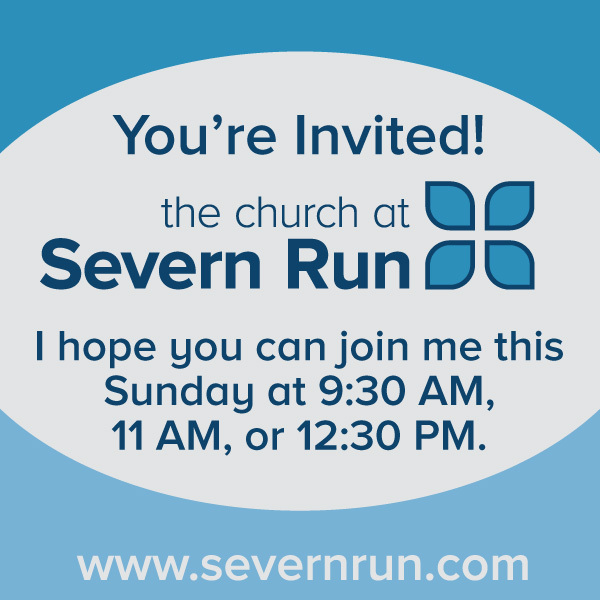 Use our easy invite tool to share on social media, send an email, or send a personalized package to their home inviting them to join us at Severn Run on an upcoming Sunday. Life is better connected! That's why I love @severnrun. Join me this week at my Connect Group! Coming soon! You will be able to send a gift and handwritten note to your friends from the Severn Run Office. Stay tuned!